BJP is the third major force in Friday's poll battle in the southern state, but its strength is confined to a few constituencies. As curtains draw on campaigning in Telangana on Wednesday, December 5, the battle lines are clearly drawn for the first full-fledged Assembly elections in India's youngest state with the ruling Telangana Rashtra Samithi (TRS) and Congress-led People's Front locked in a tough fight. 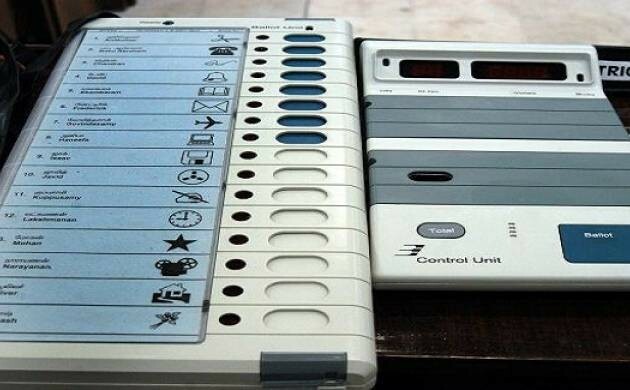 A little over 2.80 crore voters will decide the political fortunes of 1,821 candidates in 119 constituencies. Four-and-a-half years after forming the first government in the newly created Telangana and riding on Telangana sentiment, TRS is making a determined bid to retain power on the basis of development and welfare schemes, though the slogan of Telangana self-respect also echoed in its campaign. The elections also mark the beginning of a new friendship between the Congress and TDP who have put their 37-year-old rivalry behind to join hands. Congress is contesting 94 seats, leaving the rest to its allies. YSR Congress had polled 3% votes and got 3 seats. The independents and others had 11% vote share. Except for eight constituencies in Hyderabad where the MIM has fielded candidates, it is supporting TRS in the rest of the state. TRS is contesting all seats on its own. It has retained almost all the outgoing MLAs and also gave a ticket to nearly two dozen MLAs of Congress and TDP who had crossed over to the ruling party after 2014 elections. This triggered dissidence within the party and rebels entered the fray in some constituencies. While the TRS campaign banked on its achievements, the People's Front and BJP targeted TRS chief K. Chandrashekhar Rao for 'family rule' and failure to fulfil their promises. TDP's presence in poll fray provided KCR, as Rao is popularly known, a chance to raise the issue oTelanganana pride. He called up on people to not allow Naidu to set foot into Telangana through the back door, saying the TDP chief would harm the state. While KCR led the TRS campaign addressing over 100 rallies, Congress President Rahul Gandhi addressed about 25 meetings, including six meetings where he shared the dais with Naidu. The TDP chief campaigned in Khammam district and Greater Hyderabad, which has a large number of voters from Andhra Pradesh.